Incredibly quick read, which is good because I couldn't put it down. Which may not be the best when you start reading around 1am... The book moves very quickly and it took a lot of attention at times to follow the story. Right from page one, the story takes off and never stops going. While this isn't my favorite book by McMahon, it is still an excellent read. The story follows Rhonda (Ronnie) as she searches to find the young girl she witnessed get kidnapped by a rabbit. 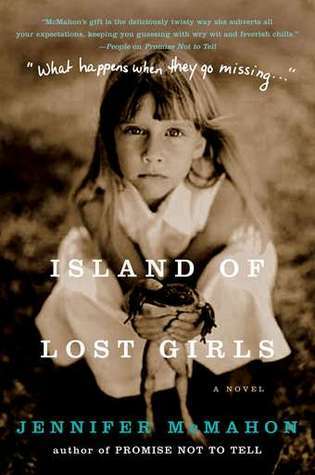 As she hunts for the missing girl, she is reminded of her childhood and starts to question the disappearance of her best friend years ago. I never really connected with Rhonda. I found her incredibly annoying and very self-centered. But the author keeps you guessing throughout the book and you keep hoping that the ending is happy. Which I have come to realize is probably why I love McMahon books so much: the endings are rarely happy. This book is no different. Everything is neatly tucked into place so you can at least feel slightly satisfied with the ending but it is far from being a happily-ever-after. A book I would recommend, but not as highly as some of McMahon's other works.